We are the only Surrey company that offers a Limited Lifetime Warranty on all of our Surreys, even when used for rentals! And it gets even better, our Limited Warranty is completely transferable. So if you sell your cycle, our warranty will increase the resale value and automatically transfer to the new owner. Plus, there is no need to fill out complicated warranty registration paperwork. The warranty automatically goes into effect when you purchase a Surrey from us. This Limited Warranty covers all parts of the cycle against defects in materials and workmanship. 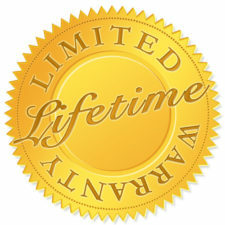 For how long does this Limited Warranty last? The frame and structural parts are warranted for life. All other components are warranted for one (1) year from the date of purchase. What will Wheel Fun Rentals do? 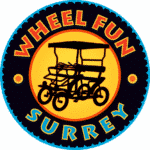 Wheel Fun Rentals will replace or repair, without charge to you, any item found to be defective by Wheel Fun Rentals. The original owner must pay all labor and transportation charges connected with the repair or warranty work. Phone Wheel Fun Rentals Customer Service Department at 1-805-650-7770. What must you do to keep the Limited Warranty in effect? the cycle receives all necessary maintenance and adjustments. 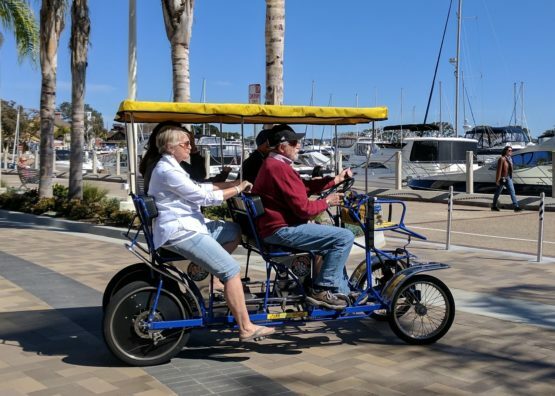 The cycle is designed for rentals, general transportation and recreational use only. Parts will wear out over time; this Limited Warranty does not cover normal wear and tear, normal maintenance, or any damage, failure, or loss that is caused by improper assembly, maintenance, adjustment, storage, or accidents to the cycle. Wheel Fun Rentals will not be liable for incidental or consequential loss or damage due directly or indirectly from use of this product. Some States do not allow the exclusion or limitation of incidental or consequential damages, so the above limitation may not apply to you. This warranty gives you specific legal rights. You may also have other rights which vary from State to State. This Limited Warranty is the only warranty for your Surrey Quadricycle. There are no other express warranties. The only uses for this product are described in this manual. Warranty registration is not required. © 2019 Wheel Fun Rentals. All right reserved.